Have SQL Server Express installed and have a database containing a Products table. Whenever you create an ASP.NET MVC Template Project using Visual Studio an AccountModel inside the Models folder will be automatically generated. If you open this class you will note that there are some very useful properties which ASP.NET MVC uses to validate data inputted by the user. Let’s take a simple example. What are these DataAnnotations and why are they used? 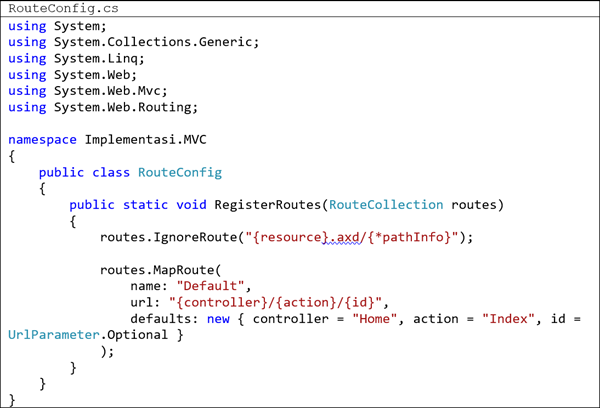 These DataAnnotations basically give MVC some extra information on what you expect from the user when inputting data in an MVC View. For example, the Required DataAnnotation basically ensures that the specific field cannot be left empty. That would mean that a user would not be allowed to leave the field empty when inputting data. Thus, in the example shown above, the Username and Password fields are both required.The Display DataAnnotation, on the other hand, is used so that the label associated with the field, when displayed in an ASP.NET MVC View, will display the relevant Display information. The DataType DataAnnotation will provide information on the DataType of that specific field. So for example, the Password field is in our case a Password field. This means that whenever you will be creating a View which accepts a LoginModel class, the Password field will be displayed as an HTML Input Type = password field. 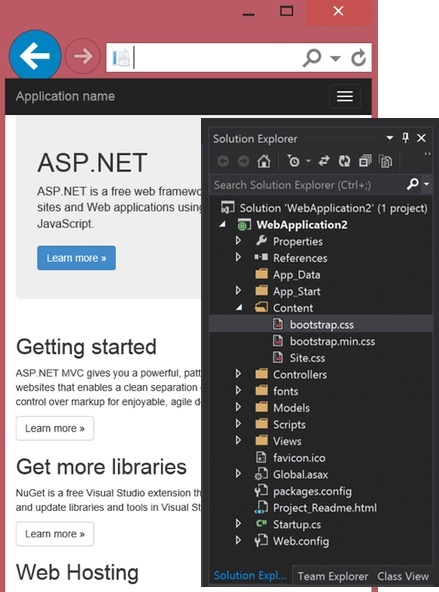 The example which the ASP.NET MVC template project is very useful to let use understand how DataAnnotations can be used. However, what happens when you are using LINQ To Entities and you would have your classes already specified in your model. How can you use these very useful DataAnnotations and apply them to your LINQ To Entities model? Basically my main aim is not to create DataAnnotations and apply them on a LINQ To Entities model which we have created in this blog. Thus, from now on I will assume that you have a LINQ To Entities class named Product which basically stores products information. The first thing you will have to do is to create a partial class with the same name as your LINQ To Entities class. So ,in our example we will name our partial class Product. We would then create another class which will contain the MetaData containing all the fields in our LINQ To Entities Product model which we would like to apply DataAnnotations on. This code is shown underneath. You should ensure that the partial class is in the SAME namespace as your LINQ To Entities model. THIS IS CRITICAL TO MAKE ANNOTATIONS WORK AS EXPECTED. The fields you create in your class should have the SAME name as the field name specified in the LINQ To Entities model. The ProductName field specified in line 17 has several data annotations applied. These include Required, which means that the user would not be able to leave the field empty, DisplayName which means that the field which will be displayed near the textbox will be shown as Product Name, and finally DataType which basically specifies what type of data the user should be inputting. In our case the ProductName is a string and thus we are specifying Text as the DataType. The ProductDescription found in line 22, has the same DataAnnotations as in the previous field. However the DataType for this field is MultiLine text. Thus when this field will be displayed in an ASP.NET MVC View a TextArea will be shown. 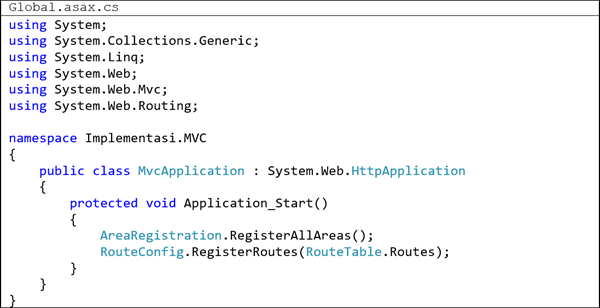 Now let’s see how these annotations will affect the ASP.NET MVC View which will be used to create a new product to our database. Create an ASP.NET MVC View which will create a new product to the database as shown in Figure 1. You will note that when you run your application and try to create a new product, the fields and GUI elements which will be created will reflect the DataAnnotations specified. I did some research and found that others were having the same issue. Well it turns out I did not follow the instructions exactly. Here is one note in the instructions I did not pay close attention to. Note: Microsoft-Web-Helpers has been replaced with Microsoft.AspNet.WebHelpers. You should remove the old package first, and then install the newer package. I opened up the NuGet Package Manager and installed the package Microsoft.AspNet.WebHelpers and things started to work. Note that when you create a new MVC 5 application and try to incorporate SimpleSecurity or SimpleMembership you will hit the same issue because Microsoft.AspNet.WebHelpers is not installed by default. It has to be present for SimpleMembership to run correctly. I verified that all of the features in the reference application are working correctly after the upgrade. Even the generation of the emails using Postal worked, which I was not sure of because of the upgrade of Razor as well. Filters are used to perform logic either before an action method is called or after an action method runs. Filters are custom classes that provide both a declarative and programmatic means to add pre-action and post-action behaviour to controller action methods. This topic contains only brief information about ASP.NET MVC 5. If you want to be more familiar with ASP.NET MVC 5, you should try HostForLife.eu. Prior to ASP.NET MVC 5 we are using the [Authorization] attribute to enforce role-based security within the ASP.NET MVC applications. ASP.NET MVC 5 introduces the new Authentication filters (IAuthenticationFilter). - OnAuthentication(AuthenticationContext filterContext). This method is used to authenticates the request & it provides the context to use for authentication. - OnAuthenticationChallenge(AuthenticationChallengeContext filterContext). This method adds an authentication challenge to the current ActionResult & it provides the context to use for the authentication challenge. We can use authentication filters to allow users to authenticate to the application from various third-party vendors (facebook, linkedin, twitter etc…) or a custom authentication provider. If look into real implementation details by comparing IAuthorizationFilter & IAuthenticationFilter, IAuthenticationFilter’s OnAuthentication(…) method has AuthenticationContext parameter which has Principal object. When ControllerActionInvoker class InvokeAction() method is executed to Invoke an Action method, first it will iterate through the all Authentication filters OnAuthentication() methods. Then replace the original Principal object on the HttpContext in case if the Principal is changed by Authentication filters OnAuthentication() method. This is give us ability to modify the original Principal object using authentication filter’s. Here is the story with OnAuthenticationChallenge() method.